I think I am going to give myself a Valentines gift this year. I think I am going to have the kids write love notes and then embroider them on fabric for a keepsake. Or maybe I will have the kids help me and we can give their dad embroidered valentines. That way I am killing two birds with one stone. I have a valentine for him and I get to enjoy them too. 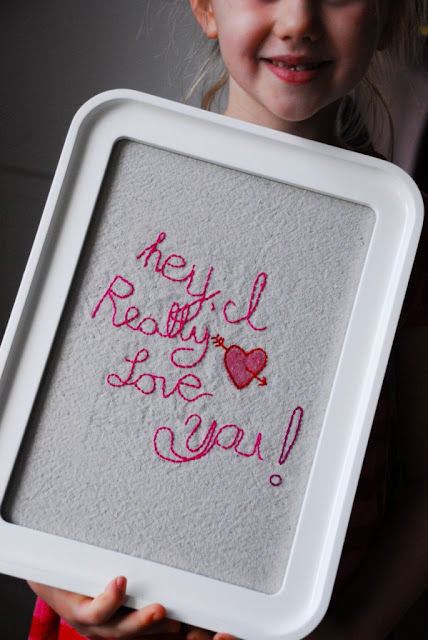 You can check out these embroidered love notes over at Family Chic.